Computer bugs or coding errors are a common phenomenon in the tech world as almost all software being developed have bugs. Any software which has a bug since the start of its lifecycle and is discovered later is called a zero-day. Every day we hear such zero-days being discovered making it easy for hackers to hack into the system or your PC. Though such bugs cost big money, there are many such instances that such software errors have caused losses in millions of dollars. Today we bring to you 10 such famous and interesting bugs from the tech world. Arian 5 was the fifth in the Ariane series of European civilian expendable launch vehicles for space launch use and was to be used for launching satellites into space. The name comes from the French spelling of the mythological character Ariadne. On a sunny day in Kourou, French Guiana on June 4, 1996, the unmanned Ariane 5 exploded only about 40 seconds after its launch. This $500 million rocket exploded due to a very common software bug known as Integer Overflow. The internal SRI* software exception was caused during execution of a data conversion from 64-bit floating point to 16-bit signed integer value. The floating point number which was converted had a value greater than what could be represented by a 16-bit signed integer. This software bug ended up causing more human loss than can be counted in money. 28 US military soldiers were killed and 98 were injured when an Iraqi missile hit their barracks because the missile system meant to protect them failed due to a software bug. 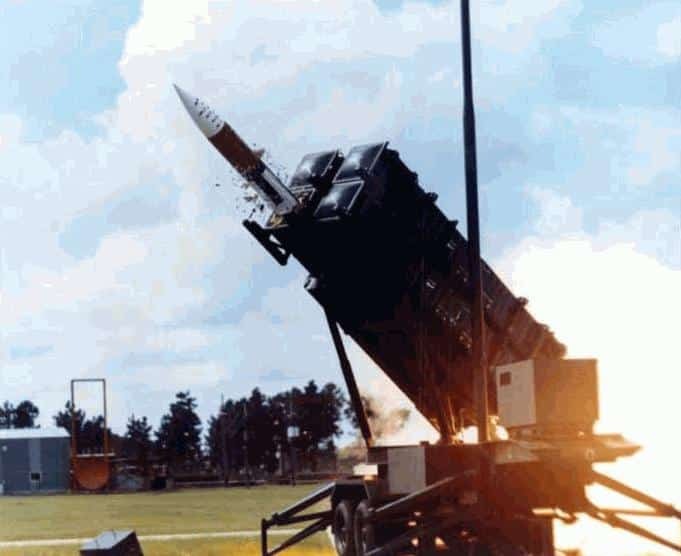 The missile defense system called Patriot failed to track and intercept the incoming Iraqi missile due bug in Patriot’s radar and tracking software and failed to deploy on time. This bug caused losses as well as gave rise to new breed of startups. In the late 90s, Y2K bug was perhaps the most talked about bug even as the world waited for airplanes to collide, ships to veer off course, stock markets to collapse as was forecasted by many tech experts. The bug was a simple mistake in the time management system of computers which used only two digits to represent the year. So 1970 would be represented as 70 and 1999 would be represented as 99. This method worked fine till 31 Dec, 1999 but failed to take into consideration this millennium. Due to this bug, almost all computers which ran in those days would have read 1 January 2000 many 1 Jan 1900. The collapse never happened but it took a while for software developers to fix this bug. 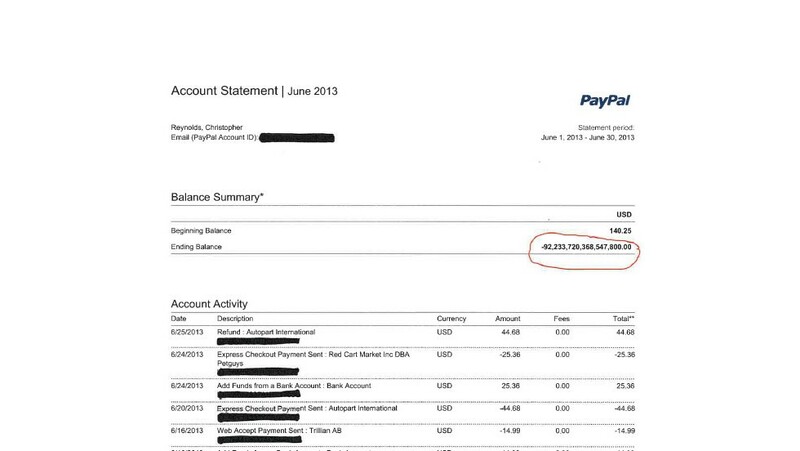 On a hot humid day in June 2013, Chris Reynolds got a fright of his life because his PayPal account showed a credit of $92,233,720,368,547,800. The Pennsylvania PR executive’s account balance had swelled to a whopping $92,233,720,368,547,800. That’s a cool $92 QUADRILLION (and change). The money was credited into Reynolds PayPal account due to a bug which catapulted him to become the world’s richest man till the fun lasted. Reynolds was richer a million times than world’s richest man at that time, Mexican telecom mogul Carlos Slim who worth $67 billion. PayPal admitted that the credit was due to a software bug and offered to donate an unspecified amount of money to a cause of Reynolds’ choice. In 2014, YouTube was broken by a music video called Gangnam Style by Psy. YouTube developers built their platform on a 32-bit register, meaning that YouTube could track a range of -2,147,483,648 to 2,147,483,647 values for its view counter. Since one cannot, unfortunately, register a negative view on YouTube, this translated to a view-tracking capability of nearly 2.15 billion. “We never thought a video would be watched in numbers greater than a 32-bit integer,” YouTube said in a Google+ post, “but that was before we met PSY.” Google fixed this YouTube bug by changing the view count to a 64-bit signed integer. This bug has not caused any loss but continues till date. 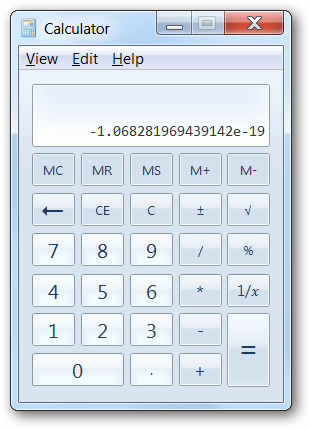 Every version of Microsoft’s Windows operating software has a calculator which can’t give correct answer for square root(9)-3. The answer this arithmatic should be 0 but the Windows calculator doesn’t give 0 as an output. See the image below to understand the bug. The Calculator’s result is the same for any other number. For example answer of sqrt(4)-2 should be 0 but it won’t give 0 as an answer. This bug has been discovered years earlier but continues unabated even in Windows 10. This time bug problem is similar to the Y2K bug issue we had in late 90s except that this is still to be patched. The world 32-bit computers could come to standstill on 19th January, 2038 as the time will end on that date. The Year 2038 problem is an issue for computing and data storage situations in which time values are stored or calculated as a signed 32-bit integer, and this number is interpreted as the number of seconds since 00:00:00 UTC on 1 January 1970 (the epoch). Such implementations cannot encode times after 03:14:07 UTC on 19 January 2038. According to software engineers, the Year 2038 bug doesn’t have a solution. On August 14, 2003, a blackout across eight US states and Canada affected 50 million people. PC Authority described the cause, a race condition bug, as something that occurs when “two separate threads of a single operation use the same element of code.” Without proper synchronization, the threads tangle and crash a system. That’s what happened here with the result 256 power plants offline. The major disruptions manifested themselves in the form of cellular communication with the best form of communication during the outage said to be a laptop using a dial-up modem. And if you just cringed in horror at the word “dial-up,” you’re not alone. The Mars Climate Orbiter launched on December 11, 1998 by NASA to hunt for planets which can support human life. Unfortunately, due to an error in the ground-based computer software, the $327.6 million project — according to the NASA fact sheet — went missing 286 days later. Because of a miscalculation, Orbiter entered the Mars atmosphere at the wrong entry point and disintegrated shortly thereafter. For nine hours in January 1990, AT&T customer in the United States could not make a long-distance calls. This paralysed the entire United States telephone network for a whole day. The root of the problem was a bug in the AT&T software that controlled the company’s long-distance relay switches—software that had just been updated. AT&T wound up losing $60 million in charges that day—a very expensive bug.